For the rider who wants it all, we’re got you covered. 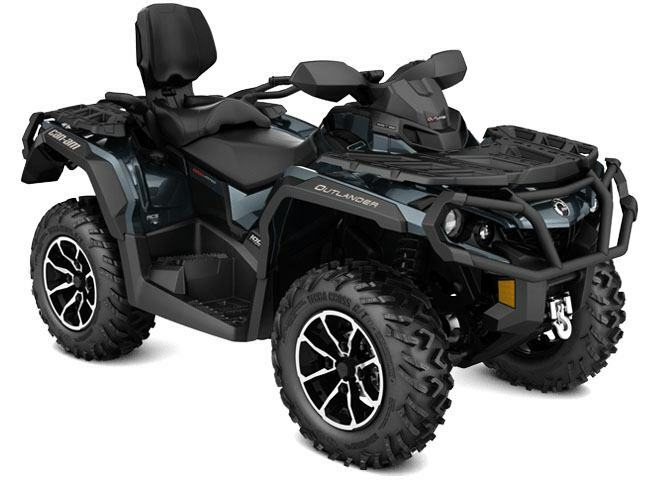 Featuring performance suspension, premium wheels, strategically placed controls, and unmatched versatility, the Outlander MAX LIMITED is the most luxurious ATV available. 89 HP ROTAX 1000R V-TWIN ENGINE: The most powerful ATV engine in the industry. Fed by a 54 mm throttle body and twin Siemens VDO fuel injectors for precision throttle control, it also provides a smooth mid-range power delivery. 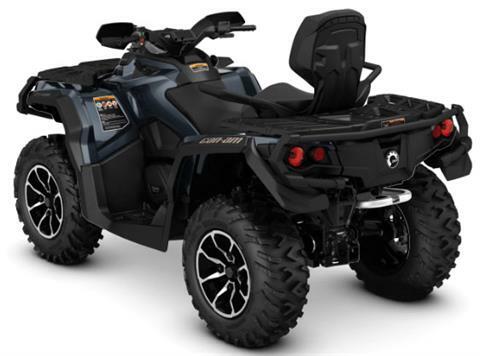 REAR AIR CONTROL SUSPENSION (ACS) WITH FOX AIR ASSIST HPG SHOCKS: Via an onboard compressor, the system adjusts the rear high-pressure gas FOX Air Assist shocks to six rider-selectable preload levels. This allows the rear suspension performance and stiffness to be adjusted on-the-fly. Comes with a hose to fill tires. INTEGRATED GARMIN MONTANA 650T TOUCHSCREEN GPS: Can-Am partnered with leading GPS manufacturer Garmin to equip the Outlander MAX LIMITED with an integrated touch-screen Montana 650t GPS. Features 5 MP camera, preloaded topographic maps, 4 in. color display, barometric altimeter, 3-axis electronic compass, wireless data sharing, and more. 14 IN. (35.6 CM) CAST-ALUMINUM WHEELS WITH 26 IN. (66 CM) TIRES: 14 in. (35.6 cm) cast-aluminum wheels with machined finish for a superior look. The centerless design reduces unsprung weight and offers improved strength. The 26 in. (66 cm), 6-ply ITP Terracross tires feature a tread pattern that is aggressive enough to tackle tough terrain, yet provide a smooth ride. PAINTED PLASTICS: The new Midnight Blue metallic paint adds to this elite model's luxurious package. Painted plastics also protects its finish and is more scratch resistant.